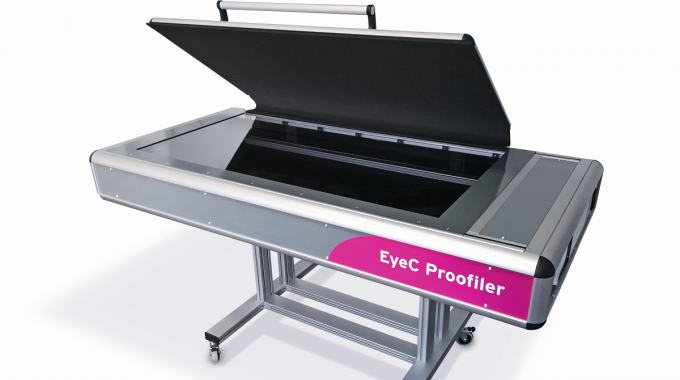 EyeC has extended its range of existing scanner-based inspection systems for half-size formats of 915 x 635mm (36 x 25in) with the EyeC Proofiler 900 DT. The Proofiler DT Series of scanners are used in regular quality checks on the output of multiple machines during printing, as well as during incoming quality control. The system detects all relevant printing defects within a very short time and provides traceable results, which are documented in a comprehensive report. Proofiler 900 DT allows print sample testing on all types of printed products, such as leaflets, flexible packaging and printed sheets of folding boxes. Complete print inspections are carried out in a single inspection process – texts, graphics and Braille, as well as 1D and 2D codes or distance measurements are checked simultaneously at the same device. The optionally available Scan Station for the Proofiler DT series also increases the flexibility of individual quality control steps. Within the new user interface, the scan is now independent of the test and approval process regarding time and location. Thus, the inspection process can be adapted even more to the existing work processes.